OKAYAMA, Japan – The #23 MOTUL AUTECH GT-R placed third at the opening round of the 2013 Super GT season in Okayama, with Honda’s Raybrig HSV-010 and Keihin HSV-010 taking the top spots on the podium. On race morning, heavy rain gave way to cloudy skies that occasionally let the sun through. The track surface was dry, but low temperatures and windy conditions made for challenging conditions on and off track. Despite the weather, 16,000 fans attended, as pole-sitter Ronnie Quintarelli increased his lead in the #23 GT-R, quickly building up a comfortable margin over his pursuers. The driver switch took place at the halfway point of the race, with Masataka Yanagida’s swift change ensuring the MOTUL AUTECH team maintained its position. But the pace of the Honda HSV entries occupying 2nd to 4th increased during the race’s second half, closing in on Yanagida in the GT-R. If any car in the trio were to drop out, the time difference to Yanagida would instantly be instantly shortened. 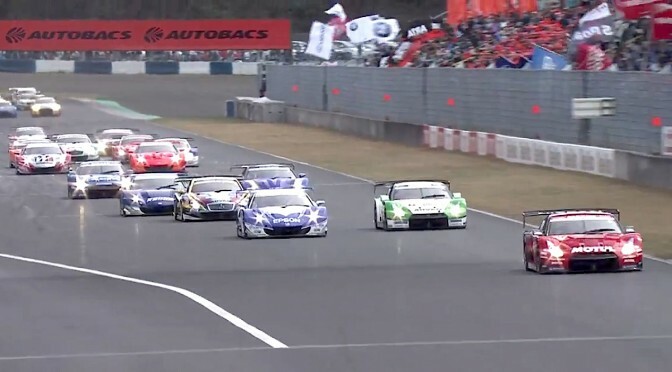 Yanagida’s s pace fell away after picking up tire ‘marbles’ (discarded pieces of rubber that litter the track) towards the end, allowing a pair of rivals to get past on lap 77, just four laps from the flag, relegating MOTUL AUTECH to a creditable third place. “Due to the fall in temperature, we picked up a lot of marbles and this led to a vibration that itself was the cause of locking brakes,” Yanagida said after the race. Teammate Quintarelli said third was a reasonable result for the first round. 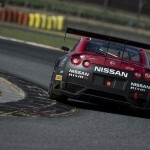 Yokohama, Japan – Today automotive innovator Nissan outlined a new collaboration with YouTube that will include the world’s largest digital content platform hosting a brand new channel to be known as NISMO.TV. Launching in April, NISMO.TV will curate, aggregate and commission global Nissan Motorsport and performance product content at NISMO.TV. 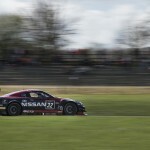 Nissan will capture its motorsport stories 52 weeks of the year and provide constant behind-the-scenes access to YouTube’s viewers. Projects such as Nissan’s experimental Le Mans electric prototype and gamer-to-racer GT Academy will see the focus of the attention alongside more traditional motorsport coverage. 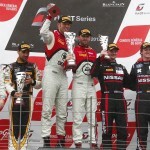 The YouTube Nissan GT-R will compete in the Blancpain Endurance Series and the new for 2013 FIA GT Series in the hands of the first winner of Nissan’s revolutionary driver discovery and development program, GT Academy. 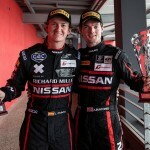 Lucas Ordonez has raced all over the world for Nissan since winning GT Academy in 2008 and for the FIA GT Series Lucas will be joined in the YouTube GT-R by Nissan regular Alex Buncombe and for the longer Blancpain Endurance Series races by one of the newest NISMO Athletes, American Steve Doherty, who completes the line-up. NISMO.TV will follow the exploits of the NISMO Athletes – the GT Academy winners who have risen from being PlayStation gamers to real world racing drivers – illustrating that the transition from virtual to reality, from PS3 to podium, is now a bona fide route into the fiercely competitive world of racing. 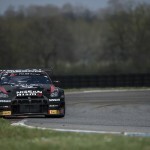 Lucas Ordonez and Alex Buncombe took their YouTube-liveried Nissan GT-R Nismo GT3 to third place in the Pro-Am class of the FIA GT Series race at Nogaro in France today. Team mates Wolfgang Reip and Mark Shulzhitskiy, two of Nissan’s newest gamers-turned-racers, took a creditable fifth in class after competing in conditions that made it hard for even the professionals to keep all four wheels on the tarmac. The teams were greeted by grey skies this morning when they arrived at Nogaro for the main race of the weekend. The weather hadn’t been typical for the South of France all weekend but it saved the worst for race day. 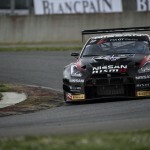 This was great news for Nissan though as the GT-R is suited best to circuits where it can really ‘stretch its legs’ but the twists and turns of Nogaro were nicely watered down by the rain, which helped to put the GT-Rs back on a level playing field. The FIA GT Series has two races each weekend. The qualifying race took place yesterday and it looked like Alex and Lucas were closing in on a good grid position for today’s big race, until Lucas was taken out by a BMW, whose driver later received a 30 second penalty for his actions. This left Lucas with a lot of work to do today as he had to start from 19th place on the grid. In the No.32 GT-R Wolfie and Mark finished a solid 14th in the qualifying race, turning in a quality performance in their first ever high profile sprint race. Today’s main race started behind the safety car due to the rain. The safety car controlled the pack through lap one and then the race was on. Wolfie found himself having to hold off a charging Stephane Ortelli for a lap then not long after that it became Gamer vs. F1 driver when Wolfie was challenging Karun Chandhok! 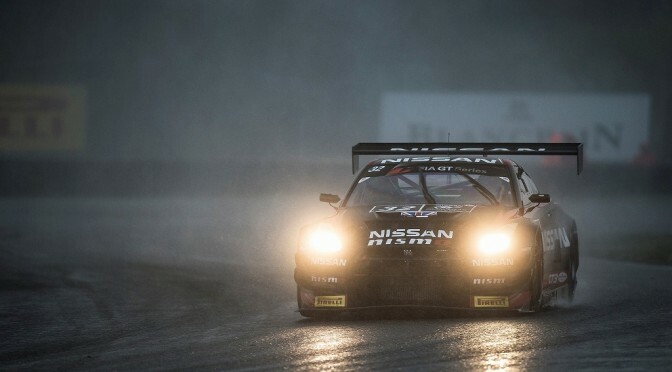 With the wet conditions catching out the professionals and even the race leaders crashing into one another the performance of Nissan’s gamers was first class at Nogaro. Wolfie handed the No.32 GT-R over to Mark halfway through the race and the Russian GT Academy winner then had a clean run to the flag, taking 14th place overall and fifth in the Pro-Am class. 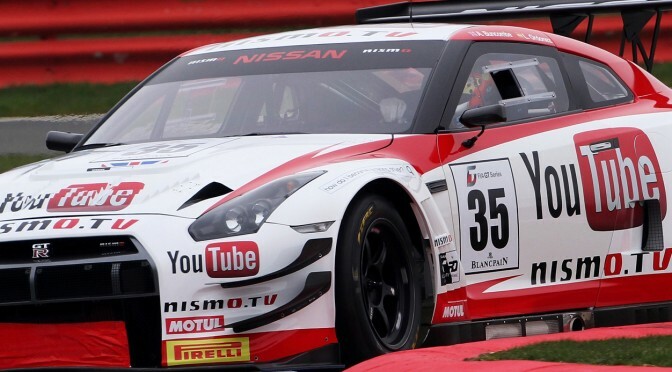 In the No.35 YouTube GT-R Alex had taken over from Lucas and was powering his way through to an incredible eighth place overall, which translated as third place in Pro-Am. A fantastic result for the first FIA GT race of the season. 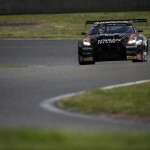 Nissan’s Director of Global Motorsport, Darren Cox, commented: “That was a great drive by the guys in the YouTube GT-R; exactly the professional standard we would expect to see from Al and Lucas. Imagine where they could have finished if they hadn’t been taken out in the qualifying race! It’s always a great pleasure for us to see our guys racing against ex-F1 drivers like Karun Chandhok and Ricardo Zonta as it’s a very clear indication of their abilities.